Samsung, the leading names in the world of electronic appliances, has air conditioners in various specification ranges. It has both Window and Split ACs for home and commercial purposes in its portfolio. If you wish to install a Samsung AC for your bedroom, then there are several factors to consider. You have to choose a model with a suitable capacity. The capacity, measured regarding the amount of heat removed by an AC every hour from an enclosed area is the key feature to be concerned. Usually, a 1-Ton AC is suitable for a room with an area of 120 square feet. Split ACs are also preferred over Window ACs because they make very less noise. This is because the compressor is placed in the outdoor unit of the machine. Some of the features of the Samsung ACs are auto clean, air direction control system, and anti-bacteria filter. You may check out the price list of 10 Samsung ACs under 40000 updated on 21st April 2019. When it comes to choosing a Samsung split AC, it will be better to choose the one which comes with an inverter technology. This technology will ensure that you enjoy the cool breeze of the air conditioner without getting tensed about the electricity bill by the end of the month. 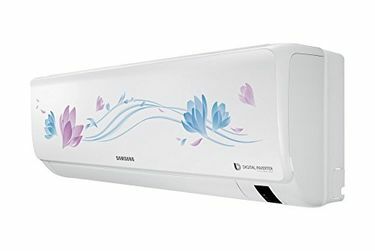 You will find a wide range of Samsung air conditioners on various online shopping websites such as Flipkart, Shopclues, and Amazon. This not just helps you to choose the best, it also helps you to get the product delivered at your doorstep within a few days. So, after deciding on the AC model, compare the price across the renowned sites to find the lowest price.